I try to find cards that are stunning, spectacular, and inspire me to want to share, like this Kitty Pryde Sketch Card. These are often cards being sold by someone other than the original artist, but it is the Artist I am trying to “showcase” to show you the talent they have, and to hope that you might want to seek them out, to maybe do a commission, or get art from them directly if they have their own site. 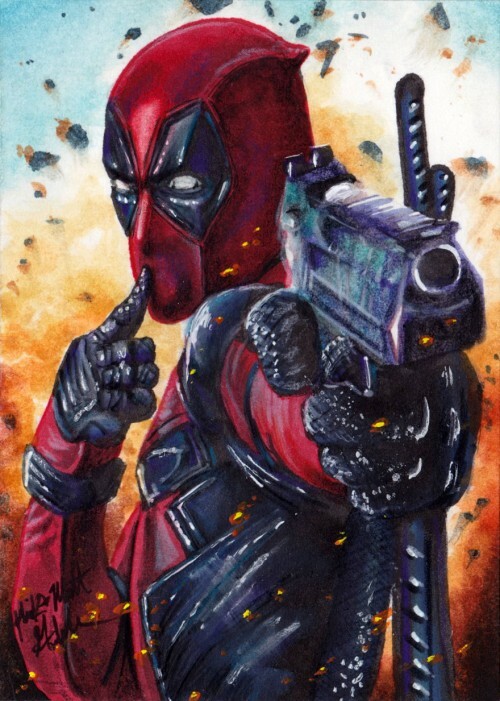 Yes this Deadpool Sketch Card is an all hand drawn and colored art, one of a kind to say the least! This is awesome Tom, I can’t wait to see the movie, it’s gonna be great. Also this sketch card is cool. Thanks for sharing it.